This Slovenian beer or “pivo” is a different take on your average lawnmower beer. I didn’t get to try this beer from a bottle as I only had the 0.33L can available to me at the time. I did manage to pour off some into a small semi-clear plastic cup to get a good look at it. From the small cup it had a okay head at best. But I can’t truly rate this beer’s head retention as it didn’t get the true pint glass experience it deserved. From the nose, there’s a faint hoppiness as you bring the can or cup to your mouth. It goes down fairly smooth, has low body and finishes slightly dry. This dryness beckons you to keep drinking more of this beer! From the can it seems to be a pale straw colored lager. If I’m able to find this beer again, I will definitely re-rate it as I will ensure it is given the true pint glass experience! While I was in BiH, I was able to find this around 1,50 – 2,00 BAM ($1.00 – 1.60 USD). I give this beer an overall 3.6 out of 5. 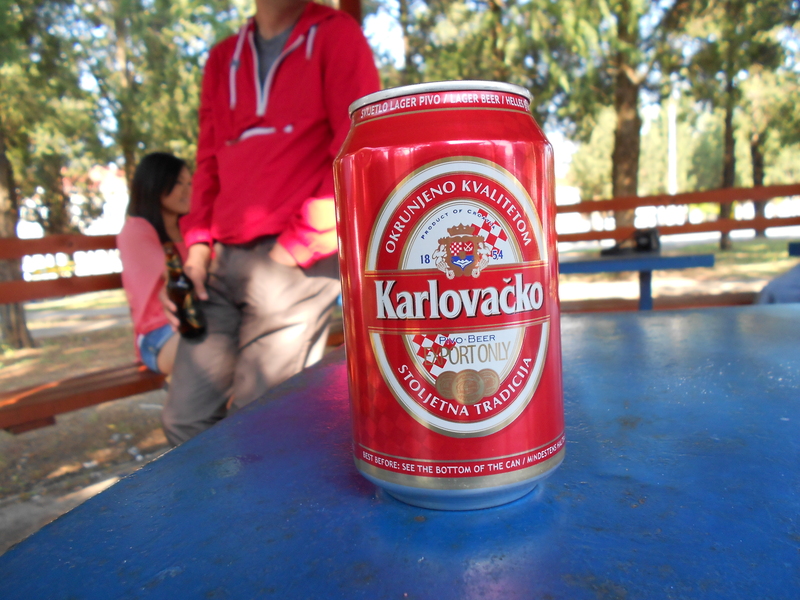 Reigning from Croatia, this beer or “pivo” is a great lawnmower or session beer. As it pours from the bottle, it creates a long lasting white head that’s complimented from its color that resembles a golden straw. From the nose there’s minimal malt and hoppiness, it’s very quaffable and is best enjoyed at 50F. Overall I really enjoyed this beer, it’s really cheap on the plus side in BiH and normally goes for 1,30 – 2,00 BAM ($0.75 – 1.50 USD). I give this beer an overall 3.9 out of 5.